After making the first bride to be apron, I was asked if I could make one in navy blue. This font looks gorgeous with the light green embroidery thread. Now that the bridal shower is over, I can post about this apron. Patty wanted "Mrs. Sellner" embroidered in this elegant font. What I really and truly liked was that Patty wanted the bride's name embroidered somewhere on the apron. Anna's name was embroidered on the inside of the apron. Now, the bride can see her name every time she puts on the apron. I would love to make that special bride apron for the bride-to-be. Our latest aprons now have adjustable neck straps. How I started to make cobbler aprons. 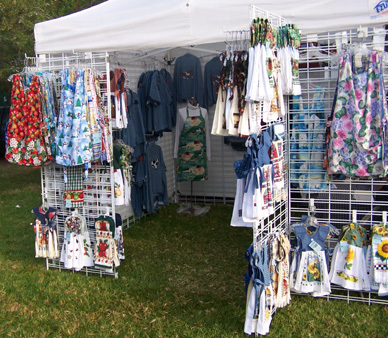 I was doing the craft show at Hillside Farms in Norco, CA. A potential customer came up to me because she saw my other aprons. She wanted to know if I made cobbler aprons. To tell you the truth, at the time I didn't know what a cobbler apron was. Well...I have seen them, but I didn't know what they were called. The customer said that she was looking at purchasing cobbler aprons for her friends. If I made the cobbler aprons, she would purchase 9 aprons from me. You can be sure that I wanted to help her out. 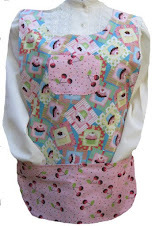 I wanted to make the cobbler aprons reversible, but as with other things, I would go through the steps in my head. I wasn't sure how to make it completely reversible. Here is a reminder of times past. I really enjoyed doing the Hillside Farm show for 9+ years, but as our sons grew up, they needed to have time to enjoy their teenage years. Then it dawned on me. Of course I am not going to spill the beans on how I do it. Since this first request, I have made over 1,000 aprons. I have also purchase cobbler aprons from others. I have not come across anything like mine. 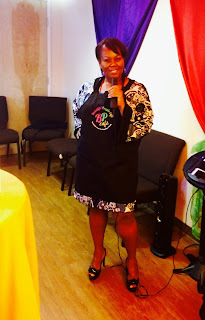 One of the individuals selling the aprons makes the apron lined. The shoulder seams on the other side are surged. 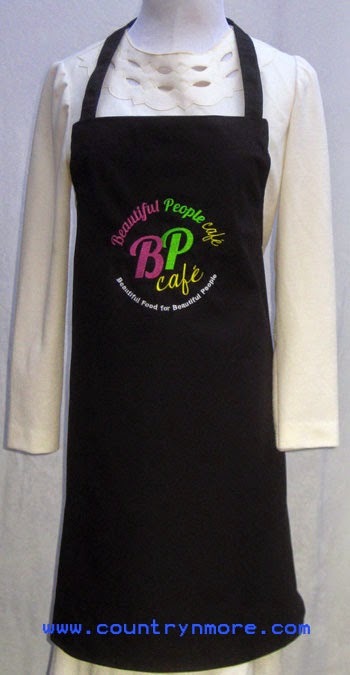 None of our aprons have surged or exposed seams. Everything is finished off and all of the edges are top stitched. Got a call from this number wanted me claimed to be Microsoft Service stating my PC had a virus that was sending numerous messages to their server. Wanted me to execute a command on my computer. He began to tell me the command eve I hung up before he finished. I called Microsoft support and they informed me that they do not call customers unless they are returning a call. People need to know. These people will continue as long as individuals fall for it. Another scam that is continuing because people fall victim to it. My neighbor, on the other hand didn't. She knew that it was a scam and was playing the bait game. They thought that they had another victim until she said that she didn't have access to their bank account. Of course, she knew that she didn't owe any money to the IRS and that she there wasn't a warrant out for her arrest. They told the person that if she didn't pay that soon after hanging up that the sheriffs would come to her house and arrest her. She would spend time in jail. Of course, they told the person how she could save herself from going to jail. This time, it was actual people, whereas in my case it was a recorded message. My neighbor said that it was really convincing, so that is probably why so many people fall for it. The number that they used was more of a local number: Phone # 323-729-3657. They told her to go to a local Vons store to buy a tax credit money order , also to call when I reach @ Vons & he will advise me what to do. My friend at work had the same p hone call recently and the "IRS" said that she owed $10,000 and the sheriff was on the way to arrest her....But....they would be happy to stay on the phone while she rushed to the bank to do a wire transfer. It's so terrible that there are people out there like that. The IRS will only contact you in person or by certified mail, they will never call!!!! I got a call similar to that, but was told I had an outstanding debt with my old bank for some check cashing place. Was told to pay $3,000 or a warrant would be issued. I googled the # and sure enough it's a scam. Unfortunately, there are a lot of elderly people who will fall for this. It's a shame that NOTHING gets done to these places. New Note: I received another call today (7/7/15). This one was from 247-851-4245. They wanted to know if I was the person in charge of my computer. I told the person that they need to stop scamming people. They will only move on to their next victim. This is a computer scam and they will try to get you to grant access to your computer by going to DOS and entering what they tell you to. In March 2015, I joined the TEAM referral network. Danielle Cheek is the graphic designer , for this gorgeous logo design. If you are looking for a professional graphic designer, then Danielle is the right person for the job. Her client Beautiful People Café needed 6 aprons with a turn around time of 1 week for an event and I was asked if I could do it. My main concern was getting the embroidery thread that matched the pantone colors in the logo. I was on a tight schedule, so I called up the company on Monday of this past week and ordered the thread over the phone. I wanted to be sure that the thread would be shipped out that day. Otherwise, the thread may not make it in time for me to do the embroidery on the aprons. Long story short, this is why I usually order on the website. The person misunderstood my address. Something told me to check the status. I knew that the thread would be here on Wednesday. When I went to check, it showed that the package was undeliverable as addressed. I called the local post office and she checked to see if the package was still at the post office. Sure enough the package was still there. The six aprons were stitched up and just waiting for the embroidery work to be done. I really like how the aprons turned out. The event for the BP Cafe was today. I will get to see pictures of the event. In the meantime, here is the photo of the finished apron. I would be happy to digitize and embroidery aprons for you at countrynmore.com. Emma is the owner/creator of Beautiful People Cafe. She looks fabulous in her new apron. 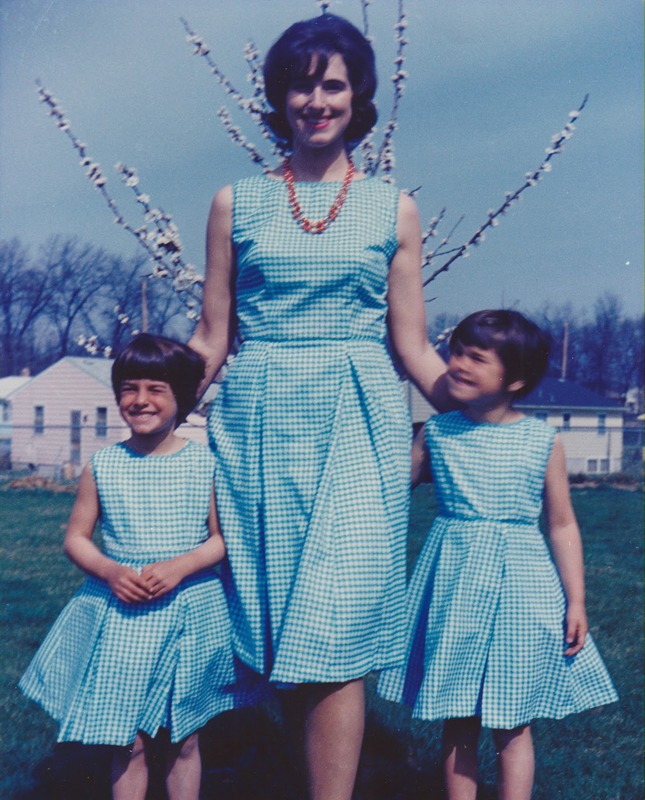 Growing up, my mother would make us matching outfits. This dress was one of my all time favorites. I also have a cute skirt with a poodle on it that she made. I miss my mother. She is in a better place and no longer in any pain. These were so fun to make. 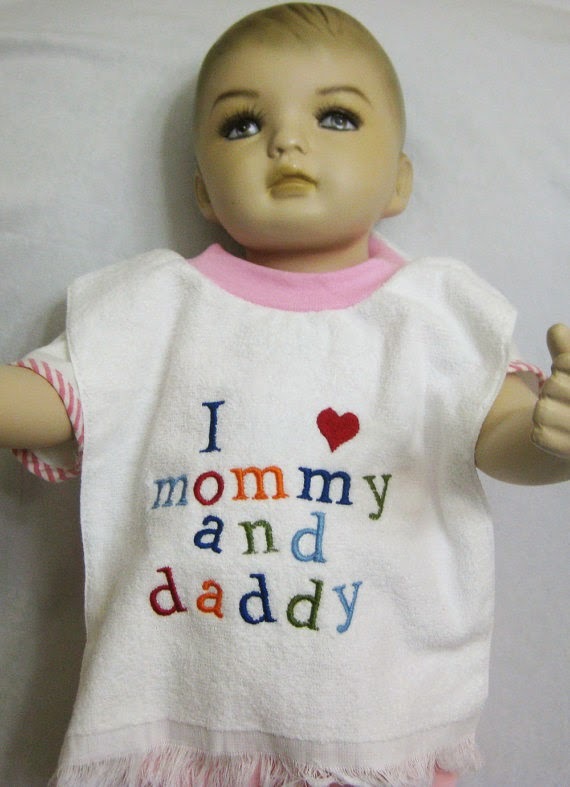 We have seen embroidered bib with I heart mommy and daddy, but we really thought that they looked plain. 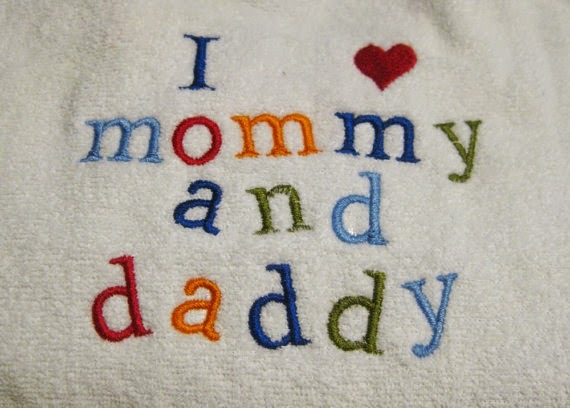 Our embroidered baby bibs are bright and vivid and oh, so cute. I told you these are cute. 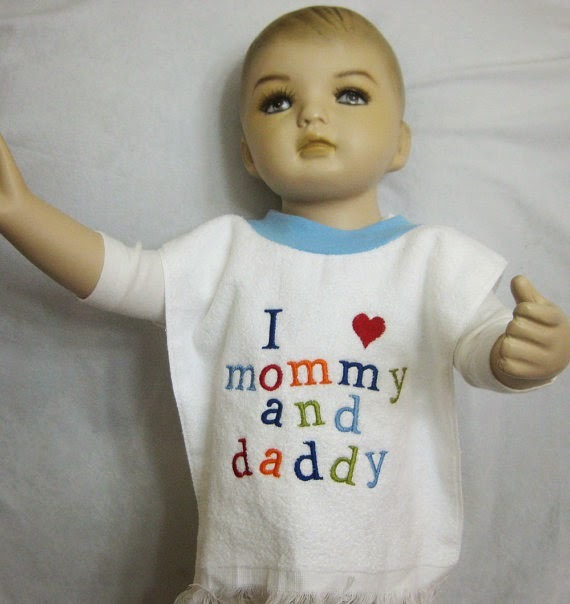 Just in time for that baby shower gift or as a gift to welcome the new precious baby.